Get set to grow during May half-term with garden-themed family fun at Rosemoor. Explore the garden with our family garden trail and get hands-on with drop-in craft workshops. Join the Mad Hatter and friends for an interactive live performance of Alice in Wonderland. 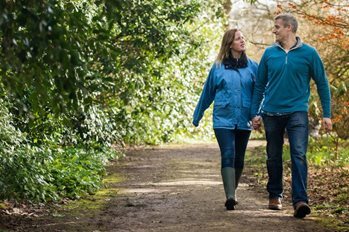 Explore the garden and hunt for wildlife with our family garden trail. Doors open 2.30pm. Performance starts 3pm in the Garden Room. Join your host the Mad Hatter and all his friends as they help Alice find her ‘unbirthday’ party. This magical adaptation of the classic story is filled with songs and dance and encourages children to interact with the characters. Part of Rosemoor Live! – a line-up of fantastic live performances running throughout the year. Adult: £7.50, Child: £5, plus normal garden admission. Booking essential. Discover workshops, events and lots more at RHS Rosemoor.